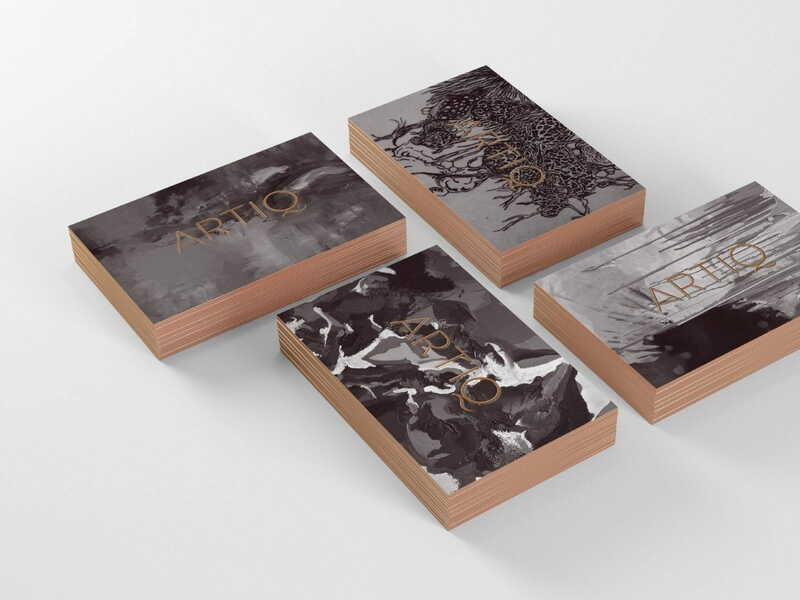 Brand naming, identity, UX, UI for Artiq — an art consultancy, that curates art for hire, sale, and commission from the most renowned contemporary artists and global art collections. This project was awarded silver at the 2016 London Design Awards. 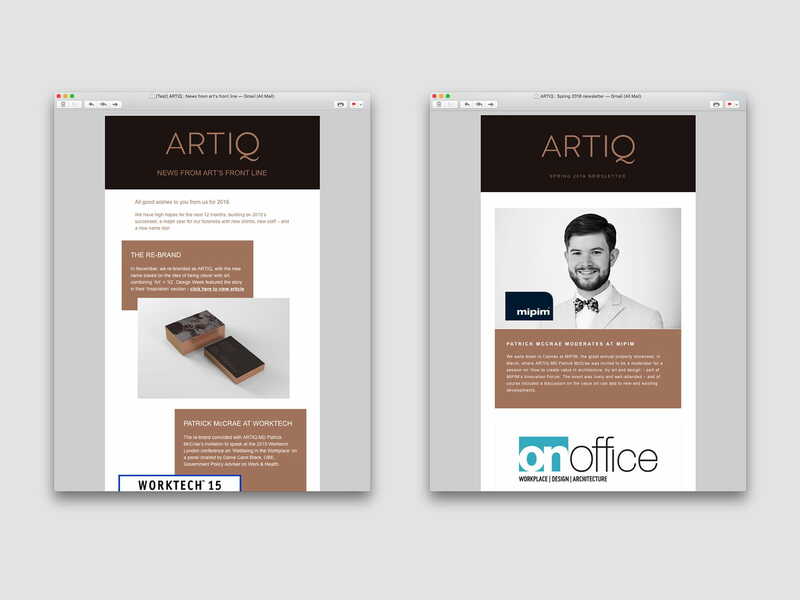 After winning a four-way credentials pitch by the leading art consultancy, Works in Print, I was asked to rebrand the company from scratch. 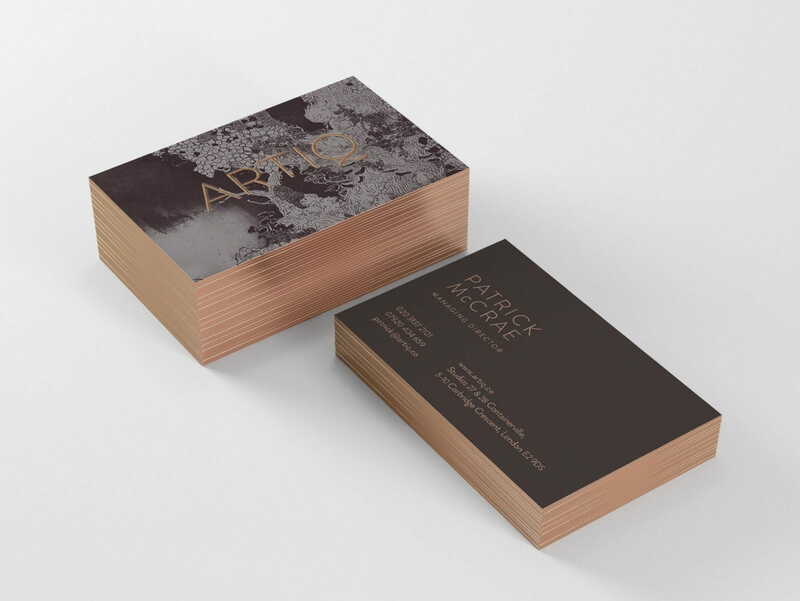 The scope of the work covered name generation and identity design as well as printed collateral ranging from business cards, letterhead, case studies, event banners, presentation templates, uniforms, vehicle livery, to digital media including email newsletter templates and a new website. 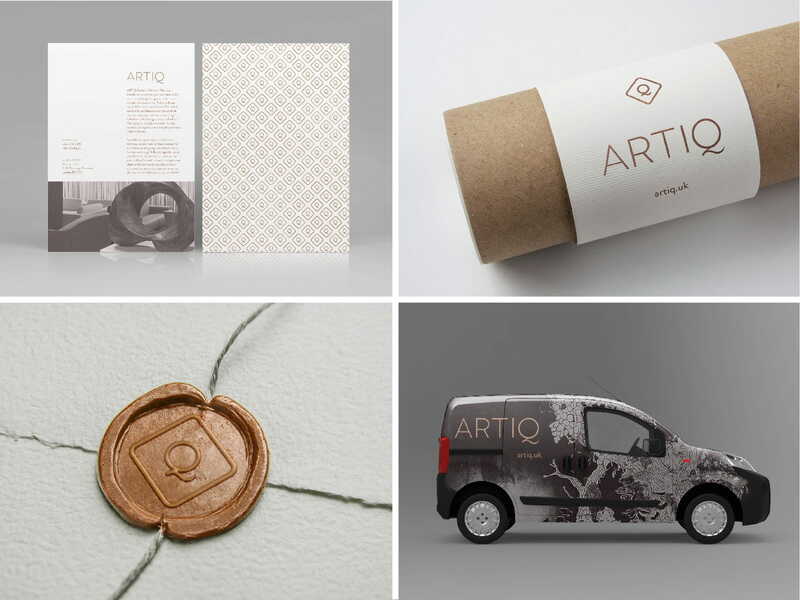 The heart of the project was understanding the core principles of the business and building up a new brand from scratch that is not only beautiful but makes sense of the company as they are now and where they are going. 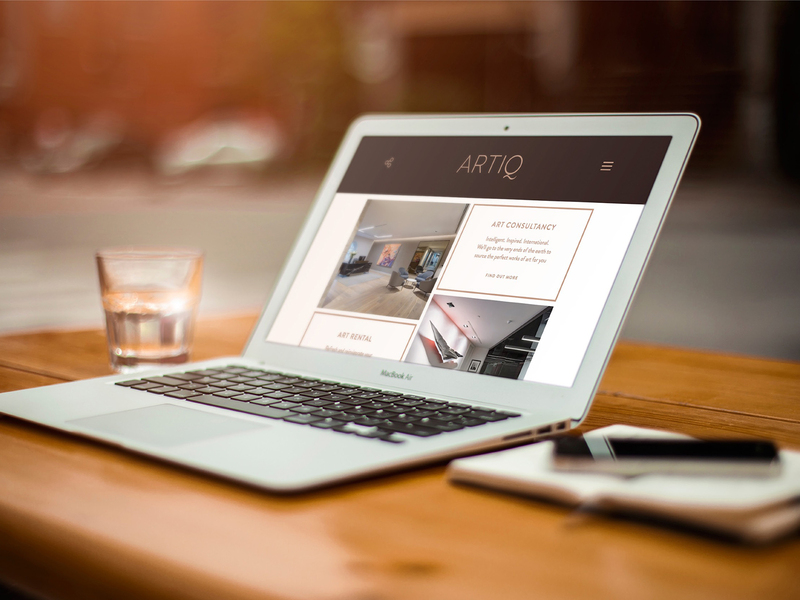 The new name reflects the nature of the business, A combination of Art and IQ — bridging the gap between the art and business worlds and communicates Artiq’s commitment to industry-changing research into the benefits of art.